Our veterinary staff are the most conscientious and talented people in the field. Our veterinarians, licensed veterinary technicians, veterinary assistants, receptionists, animal caretakers, and our office manager are the reason why people bring their pets to Old Dominion Animal Hospital. They are some of the nicest, most compassionate people anywhere, trained to provide the finest veterinary care for your pets. We invite you to get to know our veterinary staff. They believe that each pet we see is family, and they are eager to get to know your pet. Their individual approach to each and every pet createst the best opportunity to provide the most effective care for your pet. We have worked to create an environment that allows our veterinary staff to do their best work in order to take exceptional care of your pets. After all, they are our family, too! 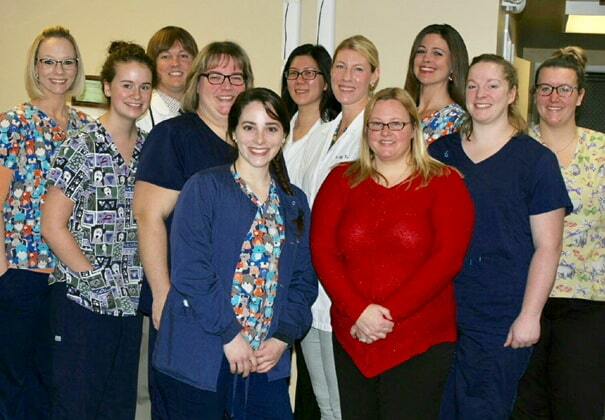 Take a moment to get to know our veterinary staff!